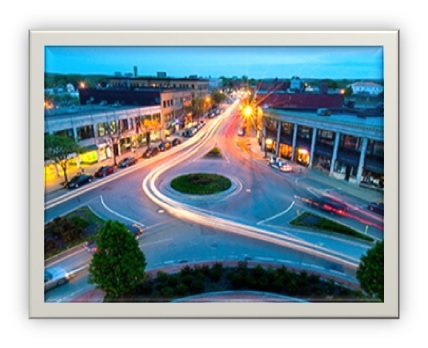 The city of Framingham, located in Middlesex County, contains about 68,000 people and made it to number 36 on CNN Money's list of top 100 places to live in 2012. Only 20 miles away from Boston, the town of Framingham relishes in ethnic diversity affordable homes and a fantastic job market. Unemployment rates are at their lowest at 4.2%. According to CNN Money, "high growth revitalized downtown, which includes Hispanic and Brazilian retail shops and restaurants." Below are the latest real estate for sale in Framingham, MA. Save your favorite listings to your account and we will send you notifications when similar properties are on the market. Don't have an account? Register for free! Incredible office/warehouse building in the heart of Downtown Framingham moments to the Commuter Rail to Boston. Features huge open warehouse in back with tall ceilings and drive in access. Historic front features two stories of office space plus additional warehouse and storage space. Ideal for owner user, or could have strong development potential - located in an Opportunity Zone with desirable CB zoning. Buyer to do own due diligence - several mixed-use/residential developments underway within two blocks of this amazing site. The building sits on 27,974 and also Includes an additional lot of 7,593 sf which is partially behind the building at 28 Gordon Street (frontage on Gordon St) for a total of 35,567 sf of land in the heart of Downtown Framingham. Extraordinary property consisting of a 5.37 mostly level acres compound of potentially (with town permission) build able space together with a large mansion house currently housing 6 units and a carriage house with two units. MLS does not allow for enough space for all units so "Unit 1" denotes Main House rooms, "Unit 2" denotes carriage house. 28,990 s.f. industrial building with Rt. 135 frontage. Potential for owner to have showroom and warehouse together PLUS income. Current leases are under market rate of $5.50/s.f. NNN. 4 leases allow 6 months notice. 15' 16' height. Multiple loading docks and drive-in access. Most utilities are paid by LESSOR - units can easily be expanded or combined for future tenancies or owner occupant. 100 % sprinklered. Automotive repair space of 5,650 sf is available for lease now. Welcome to Brimstone Estates ~ A Premier gated neighborhood offering custom built homes sited at the top of Nobscot Mountain. These homes are beautifully designed for today's living and it's evident when you tour each one. The development has been sited to maximize privacy and take in the natural park-like surroundings. The finest finishes and details have been selected so that you are able to move into A luxury home. The Builder can also work with the buyer to custom design a new home. This very special location allows for access to many miles of hiking trails and conservation lands. Lots with views are available. Model home is available for viewing, contact agent. Prominently located on busy Route 135 close to Downtown Framingham and Commuter Rail. Existing Auto Body with additional rental income.Ideal for owner operator. Excellent opportunity for mixed use development as the area is experiencing significant residential/mixed use construction. PROPERTY IS WITHIN FRAMINGHAM'S "OPPORTUNITY ZONE" Tax Incentive Program. Sensational home in Skyview Estates, stellar location and magnificent views on top of Nobscot mountain said to be the highest point from Boston and Worcester...Almost 6000 ft. of living space ..open and grand living throughout the home, most rooms feature two-story ceilings, hardwood floors, attention to detail throughout, marble foyer entrance with two elegant staircases to the second floor, banquet size dining room, wonderful living room with gas fireplace and gorgeous built-ins, open kitchen with SS appliances, huge granite island and lovely eating area with beautiful scenic views, first floor master bedroom walk-in closets and tile bathroom, first floor laundry plus mudroom. generous size bedrooms with bonus room up, great storage, lower level features open style media room with gas fireplace-walk out to fenced yard, custom built-in wet bar, large playroom plus full bath, three car garage . . Quality craftsmanship throughout! Listed by Fernando Ferreira of Dell Realty Associates, Inc.